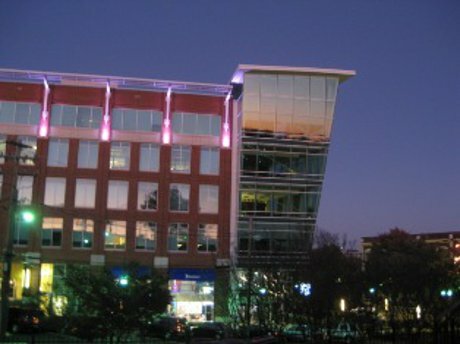 Imagine having the world at your hands in the condos for sale in Riverplace Greenville, SC that can be your experience. Riverplace ranks at 89 out of 100 on the "Find a Walkable Place To Live" score. (see www.walkscore.com) and offers a choice of living at 4 buildings each with it's own flare. Square Footage: 1800+ | Amenities: Common Areas, Exterior Maintenance, Insurance, Lawn Maintenance, Parking, Security, Trash and water, parking garage, elevator. Downtown Greenville, SC Condos on the Reedy River right in the city. Each of the condominiums that make up Riverplace Condos are located in the center of Greenville where everything you could possibly need or want is merely right around the corner within walking distance. You are located on the Reedy River with large walk-ways stretching up and down the river for the Swamp Rabbit Trail. Coffee shops, restaurants, galleries and more are all within steps of Riverplace Condos. Riverplace Condos in Greenville provides a picturesque background for your lifestyle with lush landscaping, tree-lined sidewalks and European cobblestone streets. The Riverplace Condos for sale boast a high level of attention to detail and sophistication, luxury condominiums offer a one or two bedroom option, private covered terraces, high ceilings and recessed entrances. Kitchens feature stainless steel appliances and wood cabinets. There's also an in-home cable television monitoring system of the lobby and front door ensuring the highest of security. Walking locations to the Riverplace condos includes the Reedy River, peace center Amphitheater, Falls park, Swamp Rabbit Trail, Children's Garden and Main Street not to mentions numerous restaurants, shops, art galleries and theaters. More shops, restaurants and galleries are opening daily along the Swamp Rabbit. Residents have access to a parking garage with stair and elevator access from each level featuring card access to the parking garage for added security.